Friday night home games featured the Pride of the Gold Coast marching down the street and into the stadium for pep tunes and cadences to get the crowd amped up. At each halftime, the crowd was treated to a performance of Flatland - an innovative show based on the novel of the same name. The middle school exchanged allowed middle schoolers to join the band and perform for the crowds! Early in the season, battery got a break from the Saturday bandcamp and gave the attendees of VUSD’s Storyfest a parade led by a mysterious red dragon! The crowd enjoyed the show. 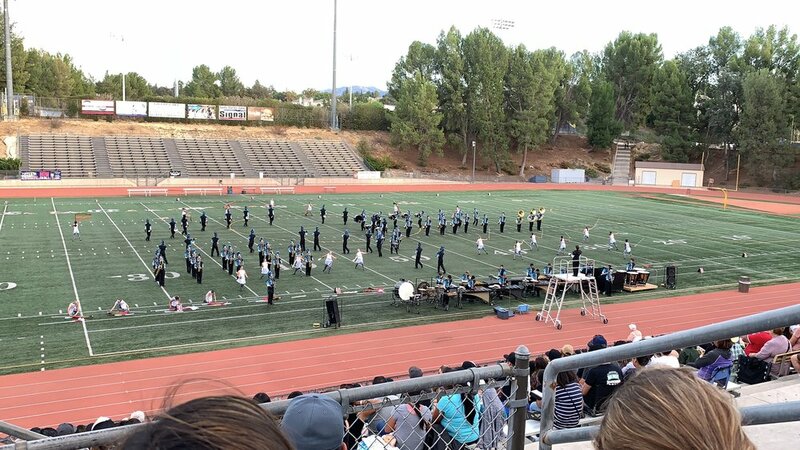 The Pride of the Gold Coast traveled throughout Southern California for several competitions. Behind the scenes, parents worked hard to support the students.